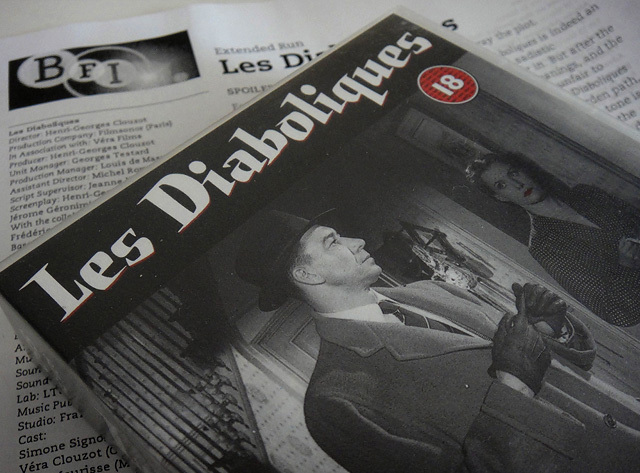 Clouzot's influential thriller Les Diaboliques has been showing at the BFI, so a few of us headed down to see it. Hitchcock has admitted that Clouzot's film directly inspired him to make Psycho, so if you're a fan of Hitchcock you'll really enjoy watching this. I've put the trailer at the bottom of the post for you to look at, it looks like it's being shown in cinemas across the country in the upcoming months, so if you get a chance watch it.